THE IRONY of Liberia’s observance of this year’s “16 Days of Activism” is as complicated and confusing as the rich and complex history of Africa’s oldest republic. IN THE MIDST of multiple reports of major strains between President George Manneh Weah and his vice President Jewel Howard Taylor, the President has remained silent, reluctant to dismiss allegations from a faction of the National Patriotic Party, led by Rep. James Biney(NPP, Maryland)which forms part of the ruling Coalition for Democratic Change(CDC), whispering chatters in his ears that his VP has an eye on becoming President some day. IT IS BECOMING increasingly clear that a major feud is in play between the President and his vice. IRONICALLY, PRESIDENT WEAH, on Monday joined nations celebrating 16 Days of Activism this month, in calling for a sustained fight against sexual gender-based violence in all its forms. SADLY, WHAT IS emerging out of the presidency is in our view, shameful, horrible and totally unacceptable. 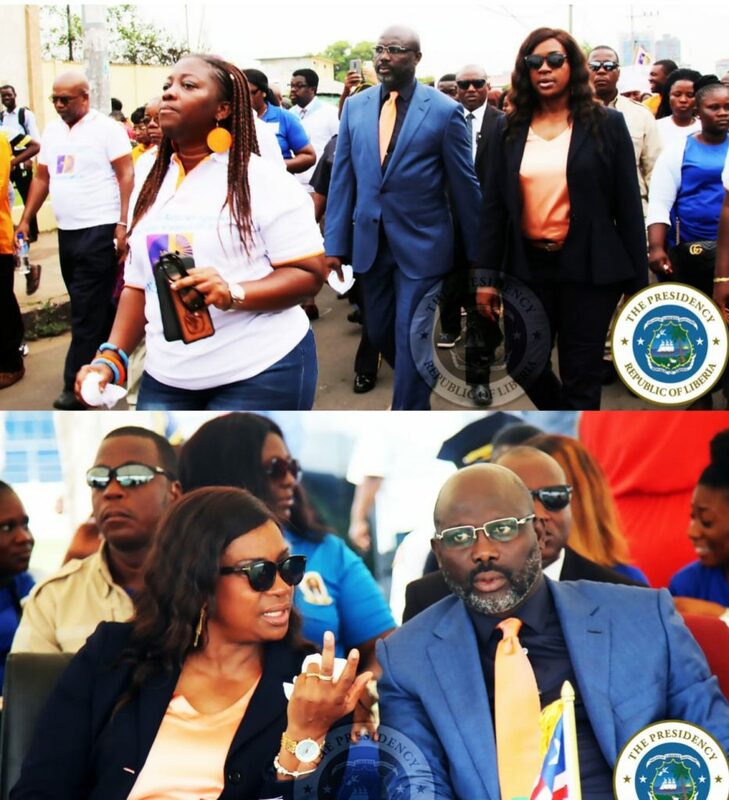 APPARENTLY, PRESIDENT Weah is once more expressing unhappiness about the travels of his vice president who, in recent weeks becoming the laughing stock after going overboard to express her loyalty to President Weah with ill-advised trips to the airport to greet him with flowers and hugs in her bid to prove how loyal she is to the President. EARLIER IN THE YEAR, the VP was forced to apologize for traveling even though, FPA has now learned she actually informed the President at the time. But for the sake of peace, publicly humiliated herself to apologize to him to avoid confusion. ALL THIS amid murmurs in the ruling party’s camp that she has an eye on the presidency – whether some day or as early as 2023. THE LATEST FEUD emanated on the eve of the vice president’s latest travel. FPA has learned that prior to the VP’s travel, she visited the President’s office in a bid to let him know that she was about to travel to Accra, Ghana for an international health conference and later to Reykjavik, Iceland to participate in the 2018 Women Leaders Global Forum which runs from November 26 to 29. FINDA BONDOO, the President’s Chief of Protocol reportedly kept the vice president waiting for more than two hours before telling her that the President was too busy to see her. THE VP, HAD reportedly gone to notify the President of her travel but when she could not get to see him, left a file, according to sources, detailing the purpose and outline of her travels. The VP reportedly prevailed on the Chief of Staff to kindly relay the message to the President. All this after she had been denied multiple requests to see the President, according to sources. TO THE VP’S DISMAY, the President reportedly called her while in Accra, ordering her to return home at once, declaring that he had no knowledge of her travel and would therefore face consequences upon her return to the country. THIS IN OUR VIEW is not just a mental torture on the vice president but a total disrespect to womanhood. PRESIDENT WEAH is crossing the line in so many ways in his quest to, in what some aides say, “teach the vice president a lesson”. This is borderline dictatorship which this country with its rugged history has not seen in years, and drawing painful memories and comparison to the era of Samuel Doe and Charles Taylor. FROM DAY ONE, President Weah it seems, has had issues with his VP, the very one on whose shoulders he rode – with vote-rich Bong County – to win the presidency. FIRST, HE SOUGHT to get the Senate through Grand Cape Mount Count Senator Varney Sherman, to wrestle influence away from his veep with a push to stop the vice president from presiding over the Senate in a bid to limit her leverage, then denying her quest to attend the funeral of late South African icon, Winnie Mandela. FRONTPAGEAFRICA REPORTED in April that the VP was summoned by the President Pro Temp Albert Chie who attempted to suggest that the Vice President should not preside. LATE LAST WEEK, the President again moved to submit to the national legislature, a bill looking to wrestle the vice president’s oversight of the lotteries and granting himself appointing powers to someone with a deciding vote, effectively leaving his vice president in the cold. INTERESTINGLY, since 1993 when the legislature first enacted the bill, the vice president has had oversight of the lotteries. In the past twelve years, former vice president Joseph Boakai had the deciding vote on the lotteries board. 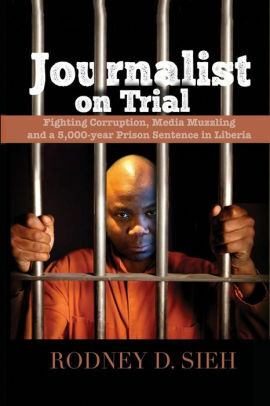 In 1993, the Act to Amend Part III, Section 15.2(a) of An Act to Repeal the Act Incorporating the Liberia National Lotteries Corporation and to Enact in Lieu thereof the National Lottery Authority Act to conduct, manage, regulate and supervise national Lotteries, Lotto and Games of Chance was enacted by the Senate and House of Representatives of the Republic of Liberia in Legislature assembled. WHILE WE ARE HOPEFUL that the President is serious about gender issues being integral to the Pro-Poor Agenda for Prosperity and Development (PAPD and his strong vow that his government will provide appropriate support to institutions working to protect and empower women and girls against violence and abuse, the mental torture being subjected to his vice president is really unnecessary and must be brought to an end. THERE ARE JUST TOO many competing realities setting in – gasoline prices are sky-rocketing, the exchange rates is rising up again, many families are finding it hard to feed their children and keep them in school and corruption, labeled a vampire by his predecessor, Ellen Johnson-Sirleaf is now being labeled as a witchcraft in some circles, under the new administration. IN JUST NINE MONTHS, the President has prioritized construction of his personal projects over development of the country under the guise of a pro-poor agenda. MORE IMPORTANTLY, many are finding it hard to figure out how US$25 million was infused in the economy when the rate is rising back up again. His finance minister says the money was given to money changers in New Kru Town and Logan Town but is yet to provide a list. Not forgetting the missing LD16 billion saga. BESIDES SUBJECTING HIS VP to mental torture, this presidency is also doing all it can to cause division amongst the three branches of government with a push to impeach associate justice Kabineh J’aneh. THE PRESIDENT MUST quickly realize that there are more pressing priorities out there than the removal of Justice J’aneh and subjecting a female vice president to mental torture just to teach her a lesson. THIS IS NOT what Liberians signed up for and this country which happens to be Africa’s oldest deserves better. Years of war, chaos and confusion have taken its toll. Sadly, Liberians are getting weary over failed loans from Eton and Ebomaf and a rapidly growing list of unfulfilled promises. PRESIDENT WEAH and his government needs to grow up and avoid the trappings of power that led us down an ugly path that no one wants to dream about returning to. THE SIGNS OF THESE times point to that – and President Weah owes it to Liberia to right the wrongs and put his presidency on the right trajectory before things turn a lot uglier than it already is. A HINT TO THE WISE!! !